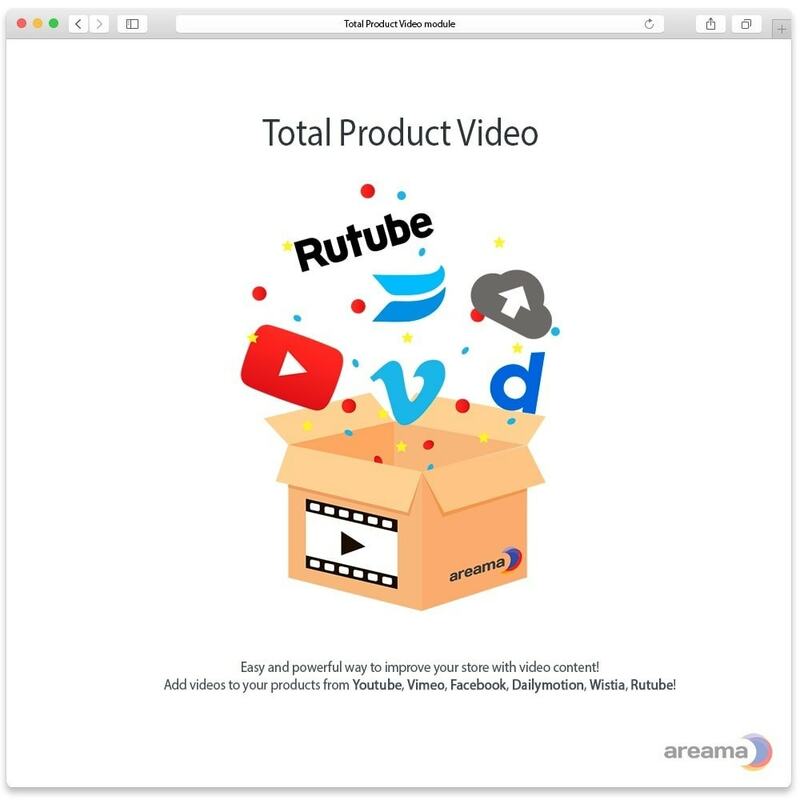 Add videos to your product from Youtube, Vimeo, Facebook, Dailymotion, Wistia, Rutube. 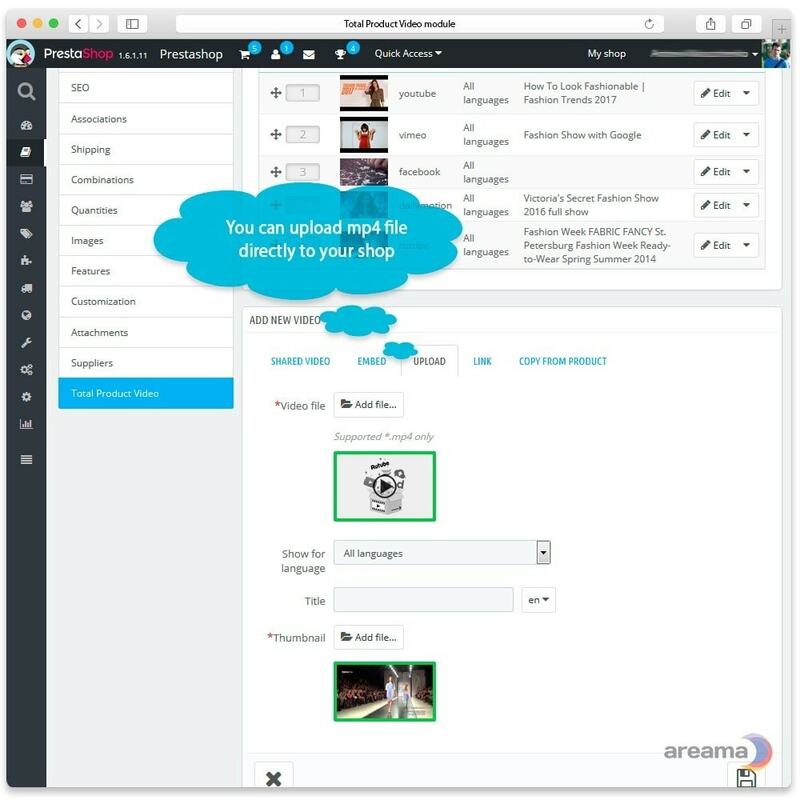 Also you can upload video or use embed code from Facebook, VK, OK, Google+ and other services. 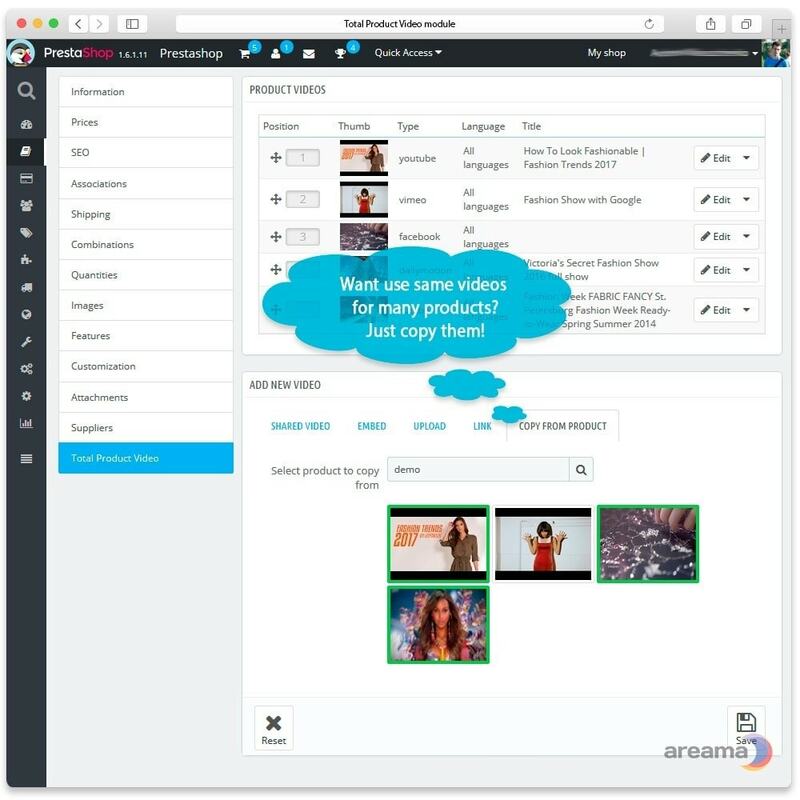 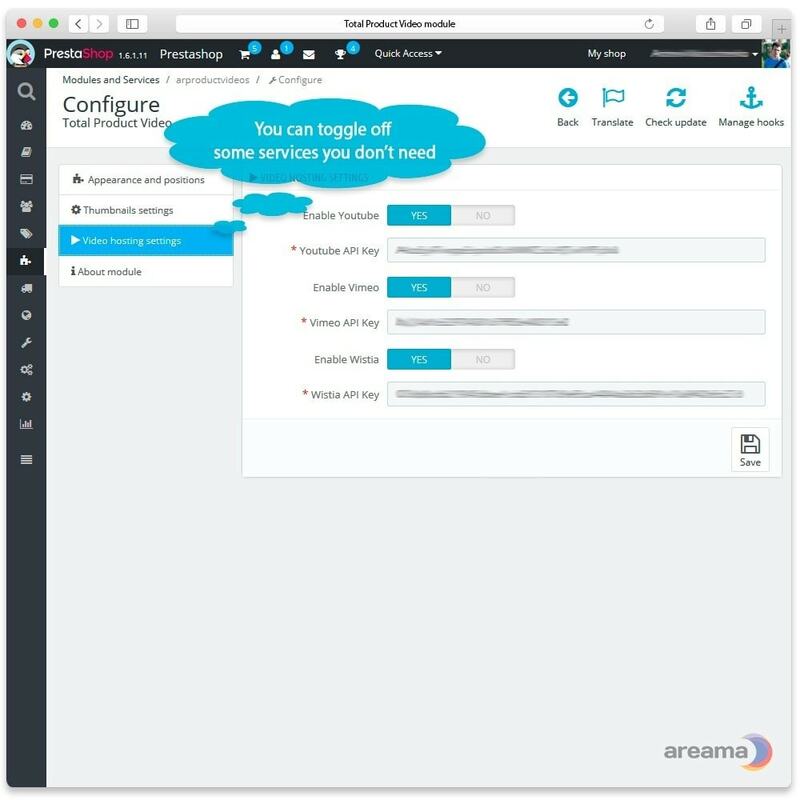 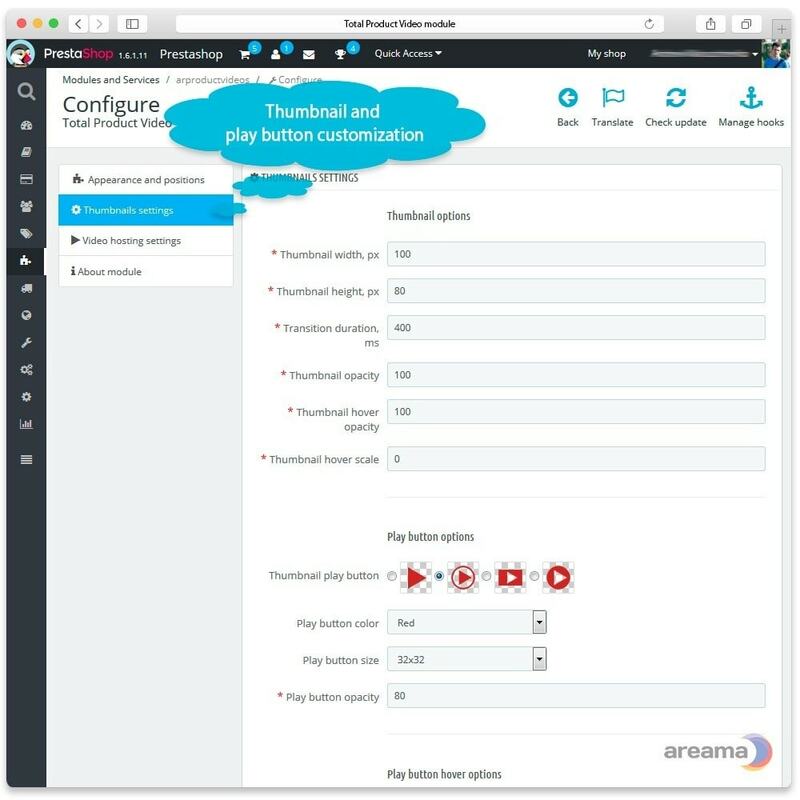 Easy setup, add and manage videos! 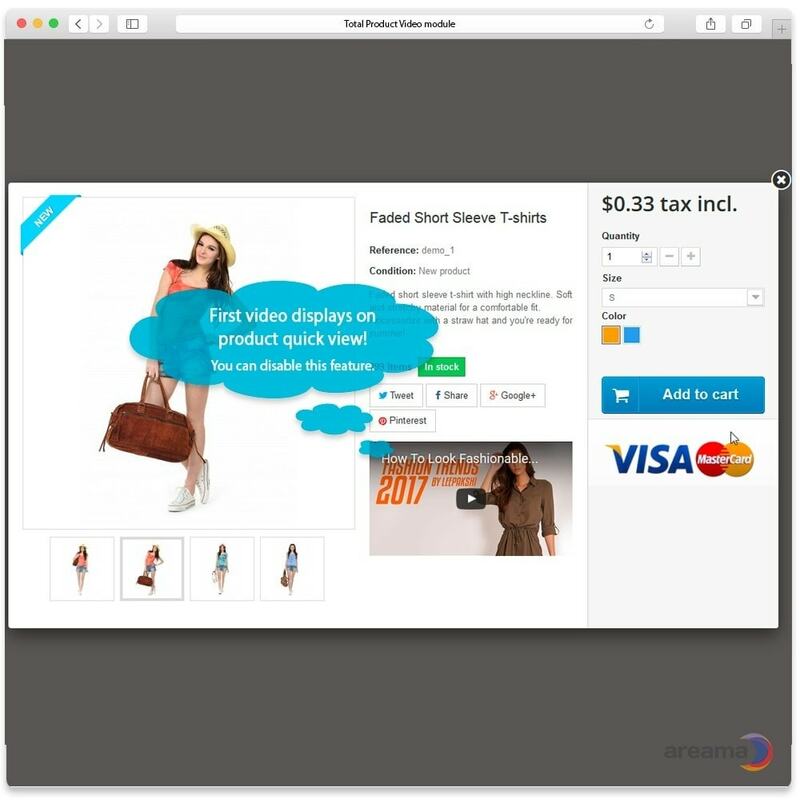 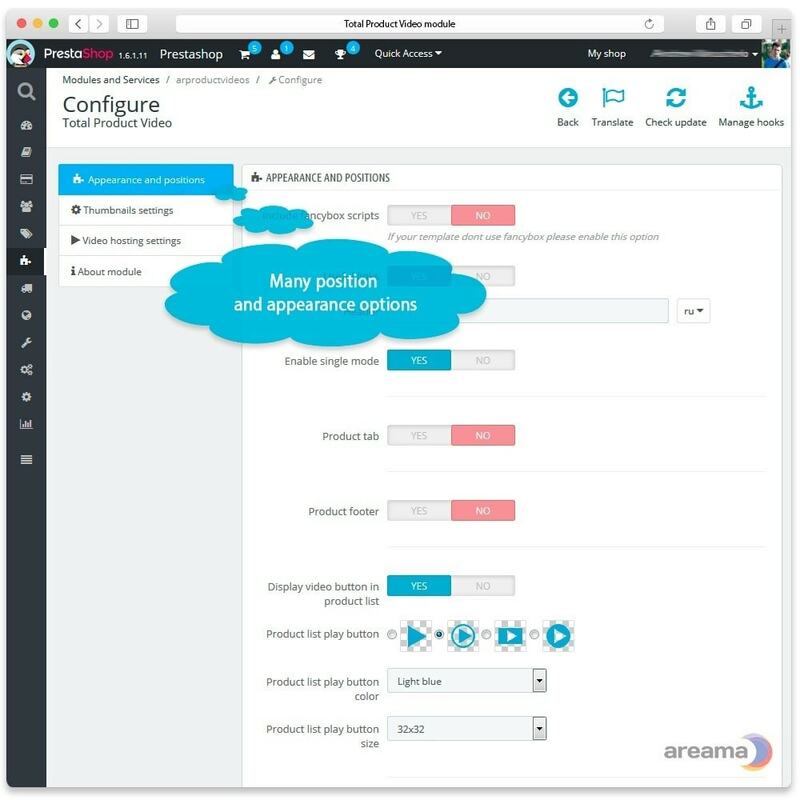 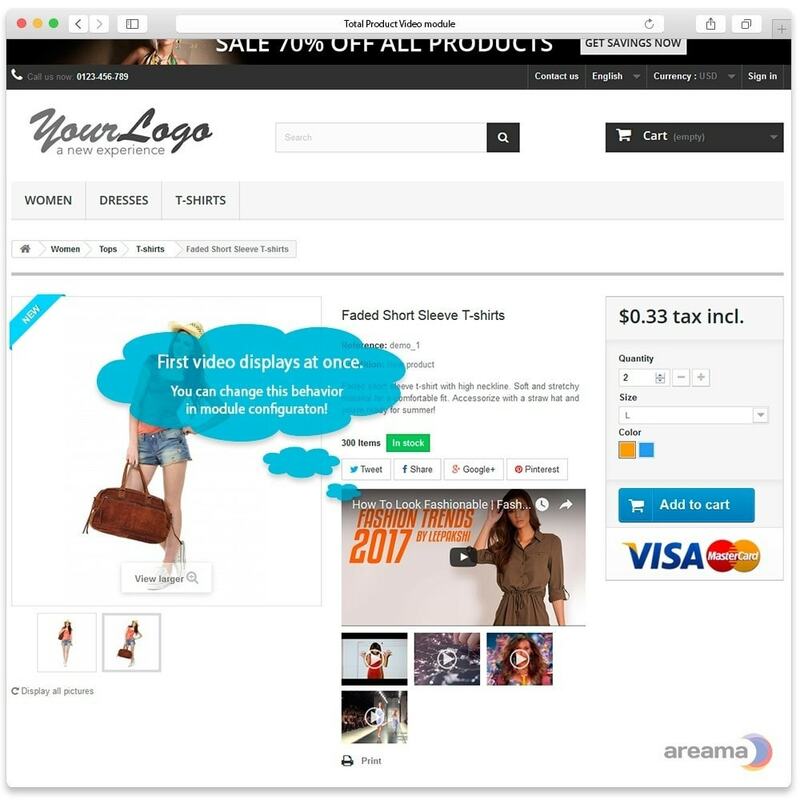 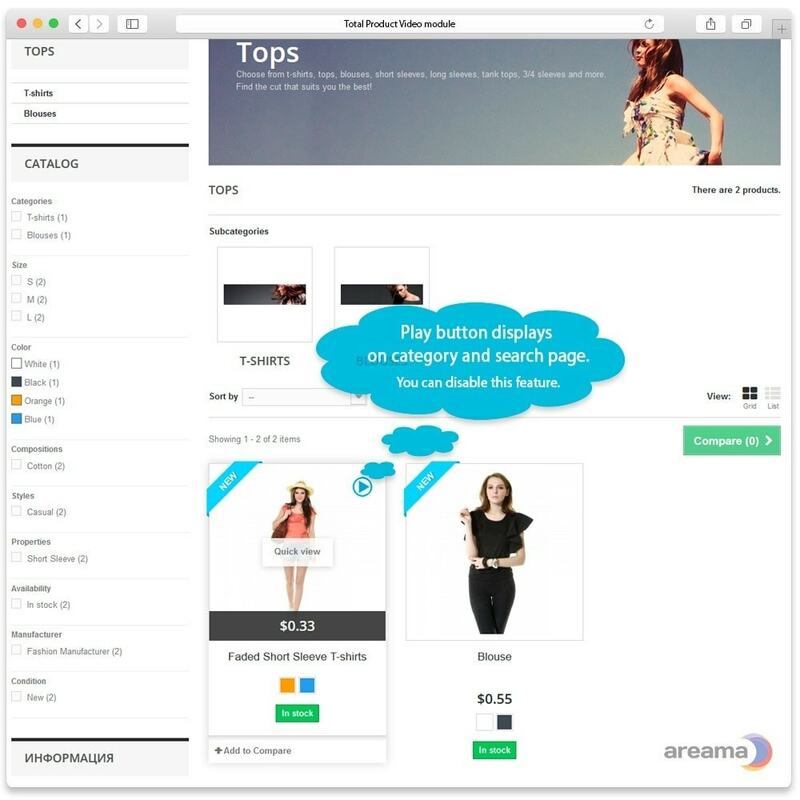 This module allows you to add multiple videos to product page, search page, category page and product quick view page. 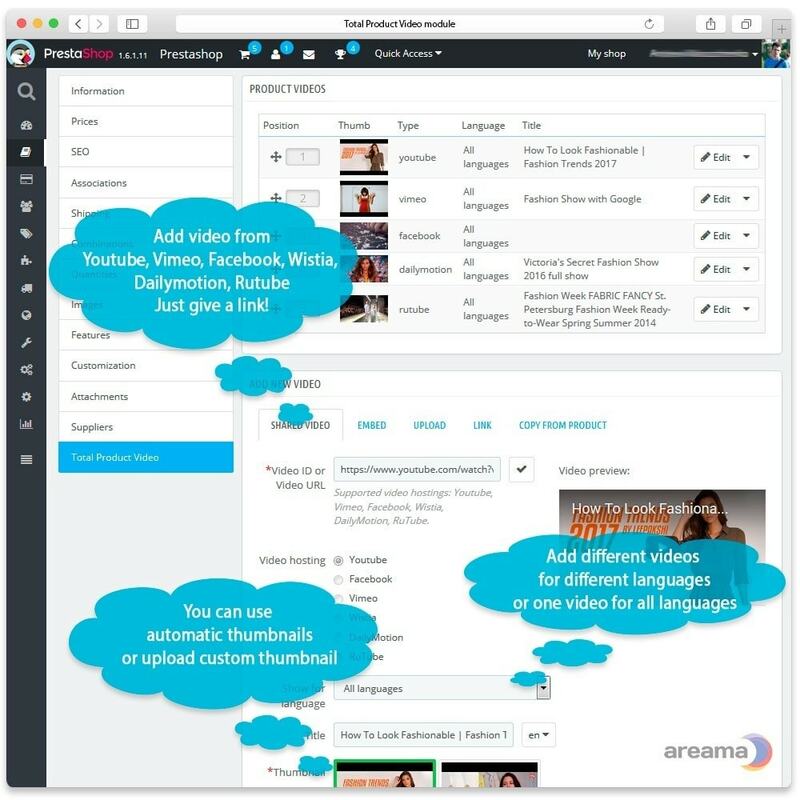 You can add video from Youtube, Vimeo, Facebook, Dailymotion, Wistia, Rutube. 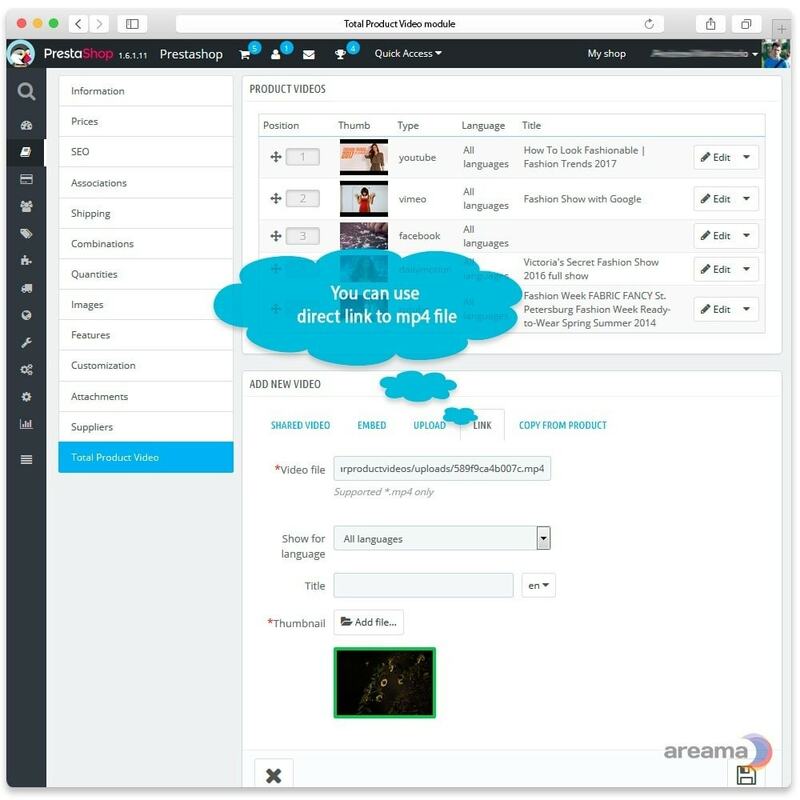 Also you can upload your video in mp4 format or use embed code from Facebook, Vk and other websites that allows share video by embed code.